We have worked with multinationals, government departments, HRH The Prince of Wales, international broadcasters, theatres, charities, tech start ups and individuals. We specialise in creating striking and intimate film-led campaigns and our clients all have one thing in common: an interesting and timely story to tell. Our specialty is in communicating often complex issues to stakeholders, ultimately through putting faces and stories to the issues at hand. Some examples of our work are below. Brief: Create a company portrait and brand film to help communicate the company's blockchain offering to current industry and government stakeholders, and to a new market. Distribution: To be shown online, at conferences and privately. What we say: We created ten intimate portrait films and one brand film speaking to stakeholders and partners involved with Melonport (from founders and employees to blockchain specialist lawyers and Deloitte). It is an exciting space and Melonport are pioneers in the space, the films reflect this. Brief: Create a brand film to showcase the process of making a Savernake Knife. Distribution: To be used on the website, on social channels, and at shows and festivals. What we say: We wanted to let the rather amazing process "speak" for itself, using only the natural sounds of the workshop, with a cheeky nod to Savenake Knives' mascot, and neighbour, Dougal the Shetland. Meet the Belarus Free Theatre for BBC Arts! Brief: Create a 36 part series of short films to celebrate the 10 year anniversary of the revolutionary exiled theatre company from Belarus. Distribution: To be shown online via social channels and broadcast on BBC Arts and as part of the live events (I'm with the Banned" and "Staging a Revolution"). About the client: Ben Brantley of the NYT says, "One of the most powerful and vividly resourceful underground companies the planet." Selection from the series below and see full series here. Brief: Create a film to accompany the #sponsoraranger campaign to support the work of the Gallmann Memorial Foundation, Kenya's largest private conservancy . 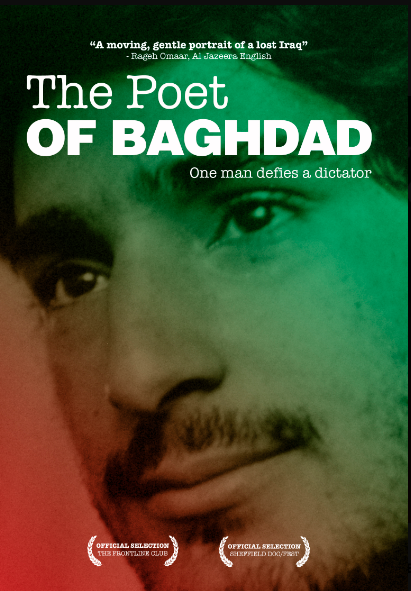 Distribution: To be screened at the awareness and fundraising event held at the Royal Geographical Society in London. Brief: Create a film to tell the story of Palestinian playwright Nail Mohana, and the process of creating a play with London's Royal Court Theatre. Distribution: Royal Court Theatre premiere, and online on British Council and Royal Court channels. What we say: A pioneering act of filmic cross cultural collaboration Screening info here. Brief: To create a series of short films to profile the work of email theatre-makers in post conflict zones starting with Rwanda and Burundi. Distribution: Online and at international conferences on arts and human rights. What we say: We loved working with Project Ariade and inspirational founder and director Susannah Tresilian, a very happy collaboration. What we say: Tremendously inspiring to meet and follow Eve Branson up into the Atlas Mountains and meet the girls the foundation supports. Brief: Produce a short film with award winning playwright Nimer Rashid, starring Georgina Leonidas, Riz Ahmed and Nayef Rashed. Distribution: Selected top talent showcase, BAFTA as well as many international festival awards. What we say: A fantastic first foray into drama filmmaking, we loved it! Some longer documentaries we have produced or distributed are featured below.